Fiestas, gastronomy and architecture are the three keys that will help you to enjoy Barcelona as though you had lived here all your life. Barcelona keeps its high level of activities during the whole year, but, during summer, coinciding with the fiestas of some of its districts is much easier. During these fiestas, all families in the neighborhood work in the organization and in the celebration. For this reason, if you are looking for typical elements of the popular Catalan culture -sardanes, grallers, giants, music…-, in these fiestas, you will find them. During the next weeks we will announce them. Gastronomy is another one of the essentials keys, in order to get to know the culture and, in addition, this is one of the best pleasures which we can access easily. In Barcelona, walking through the narrow streets in the center, at the Gòtic or the Born, at the port or, even, in other neighborhoods like Gracia or Sants-full of pedestrian streets and squares- we will be surrounded by restaurants and bars, where we will be able to eat some tapas -Spanish appetizers. Finally, architecture, the one which we can find walking at the street level, is the key that has converted Barcelona into the most important modernist city. You shouldn’t miss that. The best of all of this is that you can achieve all these key points while you are riding your bike placidly around the city. On the evening of this Saturday, the 28th of January, you will have work if you want to celebrate this fiesta of Sant Antoni with the best traditions. 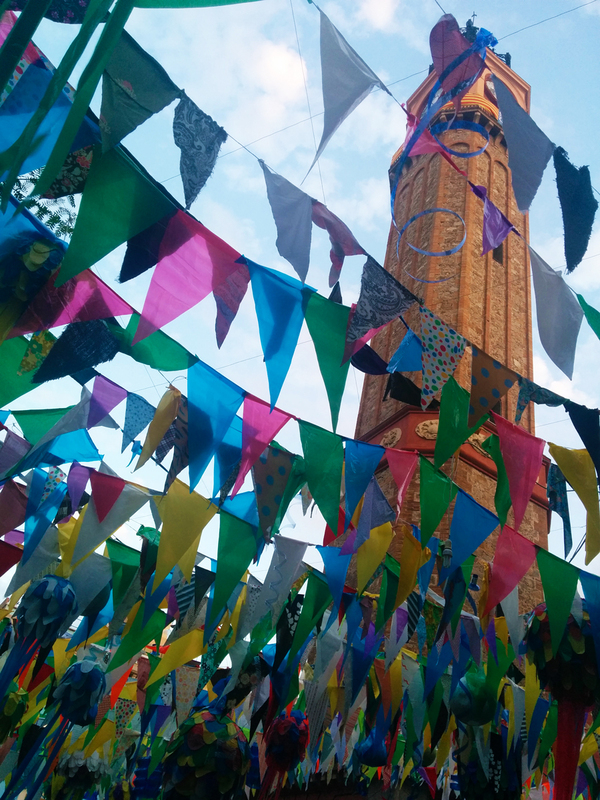 On one hand, the streets of the lovely neighborhood of Gràcia will be full of life with this Majorcan fiesta: els Foguerons, which is reaching the 25 years of celebration in Barcelona. A tradition which comes directly from Sa Pobla and gathers its community with the people of this neighborhood around a bonfire. Don’t arrive late. Music, gastronomy and dancing will start at 9.30 p.m.
On the other hand -and unfortunately, at a very similar hour-, the neighborhood of Clot will celebrate Sant Antoni too. In this case, the theme will be focused on a very special pork: the capgròs del Pork del Clot, a large-figure of the head of a Pork- This fiesta, which has been celebrated during the last 3 years, doesn’t leave you hungry. Its main course? A degustation of delicious tapas -appetizers-, every one of them prepared, obviously, with pork meat. This fiesta starts at 6 p.m. and finishes at 10 p.m. -and it only costs 5€-, so, if you are still hungry, at 9 p.m. you can go directly to Gràcia. The communication between these two neighborhoods is very simple. Go to Plaça de les Glòries, start to pedal there through Avinguda Diagonal until you arrive at Passeig Sant Joan, and there burn some fat with its ascent for arriving at Gràcia. All this journey is connected by a comfortable and safe bike line. 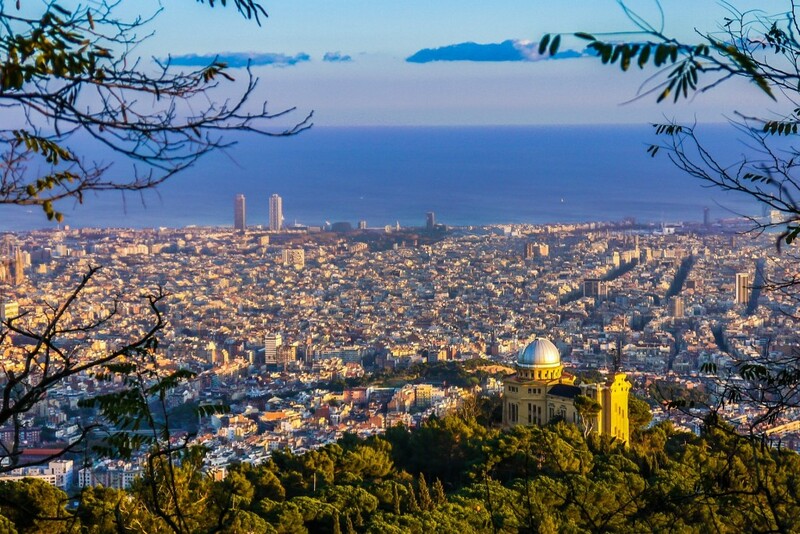 Take your bicycle and go to this very special sector of Barcelona. You will experience a different Festa Major from any other one. And after months of preparations this weekend the Festa Major de Gràcia has started. To everyone who doesn’t know about this fiesta yet, this is an event characterized by the fact that its neighbours transform their streets into real works of art. There are 18 streets exposed to everyone who goes there, with very different themes: from circus, to theme parks, airports, Japan, revolutions, animals, vegetation… the imagination of the neighbours is endless. You can arrive, go through the different streets and decide which of them is your favourite one, although this year they have already proclaimed the winner, the Verdi Street. Streets are cut off everywhere and the parking places (including the paying ones) are usually full all the time, so the best choice is to take the bike, park it close to the sector, and go around it walking. In some of these decorated streets there is a controlled access: 30 people every 3 minutes, a control to avoid an agglomeration. 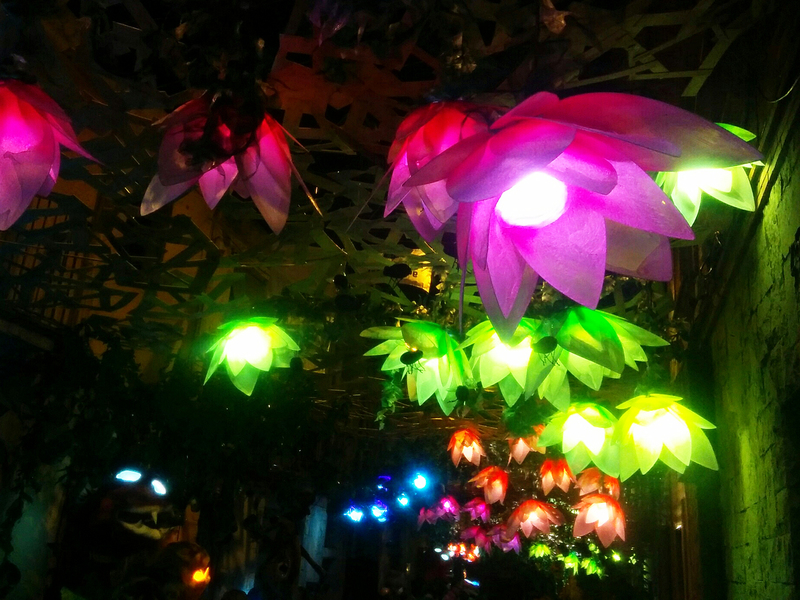 If you are in Barcelona you should enjoy these streets, exhibitions, activities, expositions and at night you cannot miss the concerts of this very special fiesta.